A low heart rate can lead to fainting and falls if you’re not a highly trained athlete, but the condition is often treatable. Health risks can develop from a low heart rate—a condition called bradycardia. A normal or healthy resting heart rate for an adult is between 60 and 100 beats a minute. A heart rate near the lower end of that range is considered a good sign. Your heart isn’t working too hard to pump blood effectively throughout the body. It’s one indication of cardiovascular fitness. A very rapid heart rate, on the other hand, raises your risk of heart failure, blood clots, and other problems. But health risks can develop if a low heart rate gets too low—a condition called bradycardia. 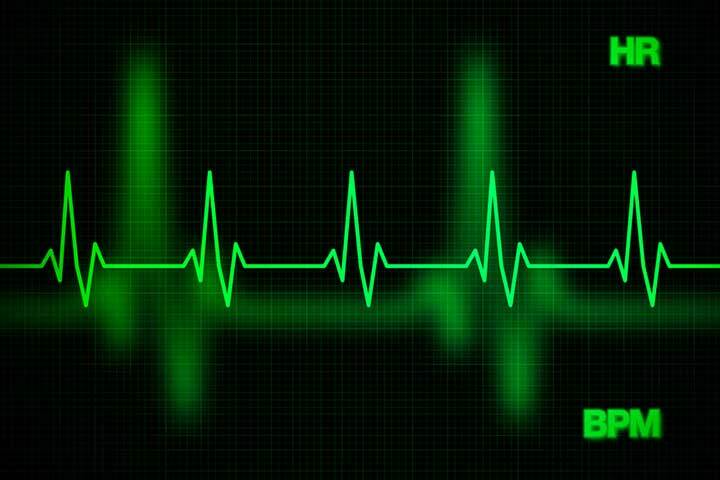 Bradycardia is usually diagnosed when your resting heart rate is less than 60 beats per minute (BPM). In some cases, the threshold is less than 50 BPM. Those numbers are guidelines. You may experience heart-related complications if your resting heart rate is 65 or 70 BPM. Or, you may be fine with a resting heart rate that is less than 60 BPM. Long-distance runners and other athletes in top cardiovascular health often have a resting heart rate that is under 60 BPM. If you’re not training for a marathon or swimming dozens of laps every day, you should talk with your doctor if you notice a low heart rate. One of the biggest concerns of bradycardia is a condition called syncope. It means a loss of consciousness (fainting), usually due to insufficient blood flow to the brain. A low heart rate can compromise your circulation. 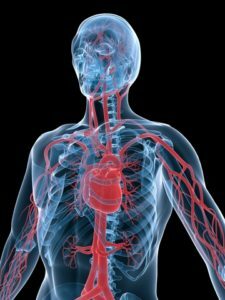 Your heart may not pump fast enough to keep a healthy flow of blood up to your brain and throughout your body. Fainting, of course, can lead to dangerous falls and bone fractures. Fainting spells are actually one of the most common symptoms of bradycardia. They may be the first indication that your heart rate is slowing down. To compensate for a slowly beating heart, your heart muscle might try to pump harder to keep up with your body’s demand for oxygenated blood. This can lead to high blood pressure (hypertension) and even heart failure, if your heart muscle works overtime for too long a period. A low heart rate is also paired sometimes with low blood pressure, a condition known as hypotension. Low blood pressure is also a cause of syncope. If you have bradycardia, but not other symptoms, you may not need any treatment. But if you do start to experience fainting or even frequent episodes of feeling lightheaded, or you start to experience chest pain, tell your doctor. If treatment is necessary, your doctor will need to determine the cause of your low heart rate first. In many cases, bradycardia is caused by problems with the sinoatrial (SA) node. This is sometimes referred to as the heart’s “natural pacemaker.” The SA node is a cluster of cells in the upper part of the heart that sends out electrical signals that help control the beating of your heart. If the SA node is damaged or is otherwise not working properly, your heart rate can slow down, speed up, or become inconsistent. An abnormal heart rate of any type is called an arrhythmia. If the problem is serious enough, you may require a pacemaker. This small device is implanted in the chest. When it detects an arrhythmia, it sends an electrical signal to the heart to help restore a healthy rate. Another common cause of bradycardia is thyroid disease. Low thyroid function (hypothyroidism) can cause a number of health problems, including low heart rate. Controlling your thyroid disease with medication and lifestyle changes may help correct bradycardia. Adjusting your medication dosage may be enough to reset your heart rate. Checking your resting heart rate isn’t difficult. Start by sitting quietly for five minutes or so. Then, place two fingers on the thumb side of your wrist, between the bone and the tendon over your radial artery. Once you feel a pulse, count the number of beats for 15 seconds. Then multiply that number by four. That will give you your beats per minute. It’s a good idea to do this every so often, just to have a baseline number. If you notice a change—up or down—tell your doctor at your next appointment. You should also talk with your doctor about your target heart rate, particularly if you are an older adult or you have risk factor for cardiovascular problems, such as diabetes, family history of heart disease, smoking, obesity, a sedentary lifestyle, or high blood pressure. Keep in mind that your heart rate should go up when you exercise and then return to a normal resting heart rate soon after you stop. If your heart rate doesn’t rise very much or takes a long time to return to normal, tell your doctor. It may be a sign of a heart that isn’t working optimally. It may not be serious, but it is worth a discussion with your physician. Heart Palpitations Symptoms—Fluttering, Pounding, Skipping a Beat: What Does It All Mean? a heart attack, beta blockers, blood clots, blood pressure, blood pressure hypertension, bone, bradycardia, brain, cardiovascular, cardiovascular disease, cardiovascular fitness, cardiovascular health, cardiovascular problems, chest pain, diabetes, exercise, fitness, health, health problems, heart attack, heart disease, heart failure, heart muscle, heart palpitations symptoms, heart problem, heart problem symptoms, high blood pressure, high blood pressure hypertension, history of heart disease, hypertension, hypotension, hypothyroidism, low blood pressure, low heart rate, muscle, obesity, pain, sedentary lifestyle, smoking, Target heart rate, thyroid, treat high blood pressure. Get your PCP to test your Thyroid Function. Untreated Hypothyroidism can cause Bradycardia….and even Tachycardia. It can have profound effects on the cardiovascular system. Lifetime pulse of 48 to 50. At age 65 almost passed out at work. Pulse was 32 when checked, feeling normal. Went to urgent care, pulse was 35 with EKG and blood test. Sent home, told to go to emergency room if dizzy. We’ll call you for cardiologist apt. 5 days later I passed out without warning, fell 18 ft, broke 10 ribs, clavicle, ruptured lung and spleen, broke vertebrate in neck and chest. I have a pacemaker set at 50 now. My heart rate goes down up to 35 while awaking. Slows down even further during sleep. Agun sometime found 72. Pls advise. that is low.however difficult to explain without further details of any conditions you have or medications that you are taking. Sometimes just changing the times you take your medications can improve this condition. Speak to your doctor urgently. Also spicy food,coffee, a bit of excercise can increase your heart rate.However you need to investigate your condition urgently. I hope this information may help someone. But please speak to your doctor first. IF you are taking several medications for your bp, and then it may be possible not to take them all in the morning for instance, especially if your BP and heart rate drops and you feel breathless..sometimes a smaller dose can make all the difference or taking some of those medications a bit later, say after lunch..check with your doctor , even a phone consultation..
My question is for a 64 year old male. He’s on 25mg of losartan daily, and takes allopurinol for gout. His heart rate drops to low 30’s, and he feels very fatigued. He’s been taking naps in the middle of the day, when he never has done so before (unless he’s sick). He’s been evaluated by a cardiologist for bradycardia, but because he doesn’t have an arrhythmia, they say he’s fine, and has “the heart of an athlete.” He’s not by any means athletic… At what point does he need to be in order to receive further treatment? He’s already exhausted, and has really low heart rate, even dropping in high 20s at times. He works as a truck driver, and so doesn’t have much opportunity for exercise since he drives for work. Also, can having bradycardia (to the point he has) eventually lead to CHF? Due to the pooling of blood in the heart chambers? I’m very concerned, and am not sure what to do at this point. He has another appointment scheduled with his cardiologist, but I fear he’ll say the same thing, as he recently had a 24-hour holter monitor in August of this year showing the same: bradycardia (lowest at 27bpm) with no arrhythmia. What I can say is that he has not had any syncopal or near syncopal episodes, no chest pain, no shortness of breath, and no palpitations. Please, any advice, or further clarifications would be very much appreciated. Thank you. I forgot to mention in my comment above, the bloodwork showed his thyroid is normal. Thank you this was extremely helpful article! I am female 65 years with high cholesterol 8.3 HDL 1.55 LDL 5.50 Tri 1.7 and a Calcium Score reading of 480. Doctor put me on Atorvastatin 20mg. Cholesterol reduced after 10 months to 5.1/1.8/2.55/1.0 readings relevant to above readings. I had a recent review of medication and re-script and my blood pressure was 127/77 but my heart rate was only 42. I am going to have a Echocardiogram and have had blood tests. My father blacked out for a few seconds on 22nd November, 2018. He felt dizzy after coming back to sense. We called a doctor who checked his pulse rate and found it is around 38. ECG on 23rd showed it’s around 35. The next day the doctor checked again and found it around 32. He has been admitted to the hospital today. Am concerned about his condition particularly since he has prostate problem, hypotension, arterial blockage, mild thyroid. Is pacemaker the only solution for him? ie, increase fluids, pull off the road when driving etc. any watch like device out there for this need? Great post. I was checkin contnuously this blog and I’m impressed! I have a ridiculously low heart rate. It had a never caused me any problems until i suddenly fainted. I broke my neck when I collapsed. I am now a quadriplegic. It happened when I was 53. I am now 61. I have learned to cope, but i almost died as a result when the attending first responders couldn’t get my heart rate up to speed. I haven’t had any difficulties since. But i have just been refused elective surgery. They basically laughed in my face when they claimed they couldn’t guarantee to keep my heart rate up high enough to keep me alive after putting me under an anisthetic. Oh well. I will get my thyroid gland checked. My resting pulse has been in the 40s for decades, and was as low as 43 BPM when I was arguably in my best shape ever in my early 30s. I am definitely not an elite athlete of any kind, although I do walk an average of 4 mi/day at a 13-14 min/mile (4+ mph) pace and lift weights at the gym for 20-35 min. 3 days/week. I suspect sub-60 BPM heart rates are more common and normal than your article might indicate. I definitely do not worry about mine being too low. I’am nearly 70..male.. and my pulse over the past 15 years is between 42 and 52 . I do brisk walking most days and my pulse gets up to 120 and drops back to low 50s soon after walk. Iam on 4 bp meds and feel my bp is too low at times going down to 98 over 58 that’s when I sometimes feel a bit faint when getting up suddenly. bp below 120 most of the time and feel really great. Am asking a question for my fiance. He woke up and wanted to urinate and immediately he got to the bathroom he fainted and stood up all my himself like a minute later. He said he’s heart beated so hard for two times and he didn’t know what happened next. Since then, most times he feels strenghtless and says it’s like the fall wants to repeat itself. He has never been sick. But he once visited his doctor some years back and was told his heart was slow but the doctor said it’s the best condition that he doesn’t need any treatment. Please I need help, whats the cause of the recent happenings? My heart rate is low. What I most do ??? I was given an Apple Watch for Christmas and have noticed that my resting heart rate is around 53 bum. I work 3200 feet above sea level, I am 57 years young and a bit overweight. I do rarely feel light headed an sometimes feel hypertensive. Am I overthinking that I have an issue? I was putting these symptoms down to the elevation and thinner air quality. I recently fainted in mid January. An echo taken a week later showed sinus bradycardia and nonspecific T wave abnormality. I just recently had a halter monitor and reg bit results aren’t in. I have dull headache all day, feel dizzy. My body feels sluggish and my legs heavy. My heart rate is from 58 to 62 and I’ve noticed I sometimes feel worse when my blood pressure is normal like 121/75 70. I’m running late for work because don’t feel well. It’s causing me to miss work and I’m a veteran so it takes forever to be diagnosed. How do I control my symptoms? Hello I recently buy an apple watch and I noticed when i sleep my heart beat go down just once to 34 this is normal? My average is 49 in sleep by the clock i am very Worried thank you It’s important to note that I work physically and my bmi is 19.1 thank you. My grandma age 70.Due to some attack of flu,severe cold and cough the mediations and antibiotics she told made her body weak to extent of hard to breath.After doctor diagnosis She is having hypothyroid ,Swelling in legs , lower heart rate, low blood and sudden attack of fever .she is under monitoring in ICU what treatment will be helpful …? My usual hr in the morning before i get out of bed is 53-55 bpm. Yesterday i had an elevated bp of 160/100. Feeling so fatigued that i lie in bed for almost a day. Im having hot flashes and bp is 140/90 but my pulse rate is between 48-53. Im not on hypertensive meds what does this indicate? I am a fit man of 66. I have started to get into distress when out running after about 4K; as i was comfortable doing 10k’s and half marathons it is not due to fitness. My heart rate drops like a stone from 140 to 80 to 90 and does not rise again. My body goes into distress mode and i have to stop running and it can take hours to recover. My resting heart rate is in the low 40’s dropping to 40/42 when totally relaxed. I have now started to have many periods of feeling faint when standing. My heart rate drops to 26 to 32, my low blood pressure drops well below 60 often in the 40’s my high blood pressure fluctuates between 80 and 150. The main question is what is causing my heart rate to drop so much that it is well below my resting heart rate. I thought you might be interested in this article on https://universityhealthnews.com: Is a Low Heart Rate Dangerous?